So, apparently I'm a bit over excited about this whole Tour de Fleece thing. Because not only is tomorrow NOT the 21st of June (which is the date I had stuck in my head for the start of the race), it is also NOT the start of the race. This was very gently pointed out to me by a dear friend and I am now totally humiliated at my complete lack of functioning brain cells. And my ability to double check my drivel before I exposed myself to public ridicule. Oh well...the up side of this is that I now can stop carding myself into carpel tunnel syndrome, and I can do a bit more organizing of my plan of attack. There has been a bit of training going on (but only a very little bit): some Oregon Green Wensleydale on the Turkish spindle. This was my maiden voyage with the Turkish, and it's absolutely lovely to spin with. IST has some with weights added to the cross bars to increase the spinning time - this one doesn't have them, but it spins beautifully anyway. Comments: Like all of Adrian's fibers, this was an absolute pleasure to spin. 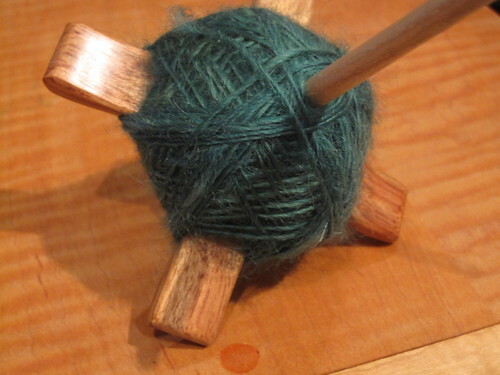 I did this as a real 3-ply instead of chain plying. 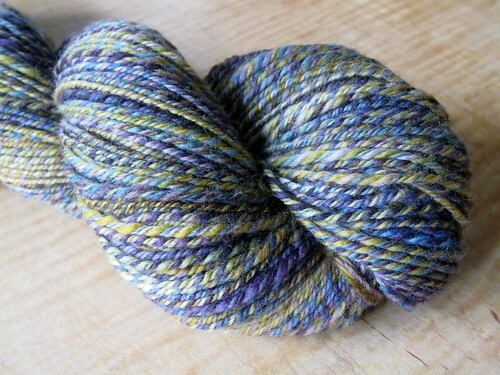 I split the 4 oz bundle into 3 pieces of equal length, then split those lengths for fractal spinning. The first piece I split into 3 (mostly) equal sections lengthwise, the second into 4 pieces, and the third into 6 pieces. I spun them end to end, but for the first and third plies I reversed every second piece to maintain the color progression. 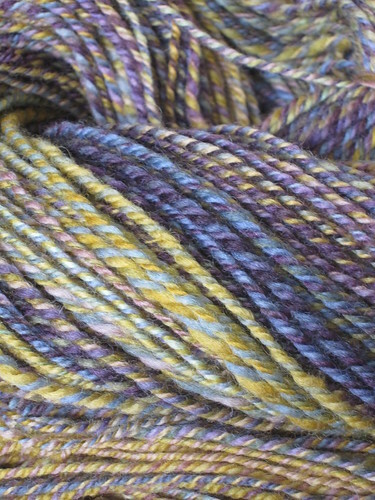 So if the first piece started with yellow and ended with purple, I spun the second piece from the purple to yellow. I tried to spin the singles very finely with a backward draw, letting twist into the drafting triangle. I wanted a lofty and fluffy final yarn, and I knew from previous Tour de Fleece experience that Polworth has a tendency to fluff up a fair bit during finishing. 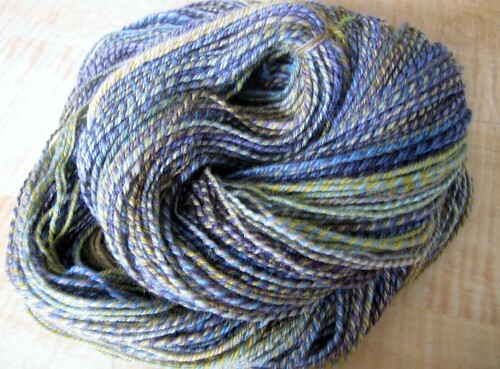 Before a soak in warm water, the skein from my niddy noddy was 90 inches around, and the wpi ranged from 13-23. Post-soak, I lost 8 (!) inches in length from the skein, and the yarn plumped up into the worsted/DK range. 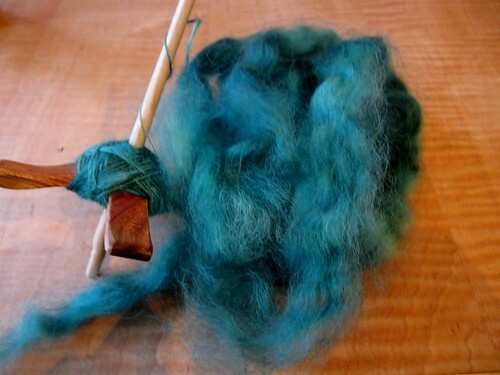 Written by porpoise On June 21, 2013 In "fiber club", "spinning"